Demystifying Common Investments: The Fall of Gold & the Rise of Stocks! Unbiased and honest articles on personal finance and on investing your hard earned money. The Fall of Gold & the Rise of Stocks! number of gold bears has gone up dramatically. When I look at the bullion market I see too many short sellers crowding in. And all hopes are now pinned on a 'sustained' global economic recovery. In fact, the US dollar has strengthened in recent times backed by hopes that the economy is set to recover and the US Fed would gradually wind up its QE program. The stock markets on the other hand are close to record highs in the western countries. All of these expectations are too optimistic. On the contrary, some seasoned investors like Doug Kass have went on record to say that he expects all major currencies including the US dollar to weaken over time. The stimulus program may go on much longer than what people think. At the same time, he is of the view that inflation would eventually show its ugly head. And this would push gold prices higher. Just going back to the famous Buffet quote with which I started out the article, does it make sense now to invest in Gold when the whole world is selling? Is this the time to buy because others are 'fearful' of buying? To be a contrarian and to stand apart from the crowd requires great conviction and discipline. It is not just fashionable to be contrarian but there is some sound logic behind it too. It actually reflects the fundamental relationship between risk and return. When the risk (i.e. volatility) is high, prices fall and potential future returns are much higher. If you are willing to invest when others are not, then you can earn strong returns. My view on Gold has always been to look at gold an as insurance, as a keeper of value & a hedge against inflation. 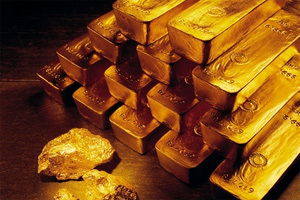 I believe that after a decade of sustained rise in prices, gold prices are now correcting. A lot of short term investors who had bet on high inflation as part of loose monetary policy, have lost their patience since they see no indications of high inflation (an effect of loose monetary policy and money printing). So the question to ask is - Are the developed countries still following a loose monetary policy? - YES! And is the best hedge against inflation - gold, correcting now? - YES! In that case, here is some food for thought - Applying Warren Buffet's 'golden' principle to this scenario, should I be 'greedy' when all others are 'fearful'? This is all the result of speculation. Both gold price fall and stock and real estate price rise. INDIAN BENCHMARKS are likely to open on a lower note as the global cues look unsupportive with SGX Nifty trading 69.50 points lower. This list is really great. this list is very helpful of us. When should I redeem my mutual fund? Endowment Policies - Are they really good products? Pension Plans - Are they worth investing in? CTC! What happened to my Salary? By Rahul Koshy George. Simple theme. Powered by Blogger.